Some children take to bath time like a duck to water, but for many parents, it’s a bit of a chore making bath time seem like anything other than a punishment, as they try to catch their fleeing kids and convince them that they need their evening wash. While researching stylish bathroom suites and upgrading the tub may be good ways of dealing with this, there are, fortunately, some easier steps you can take to make bath time seem more like fun and less like an irritation to your offspring. Here are a few simple tricks to give the evening bath a makeover. A big part of the reason why so many children dislike bath time is because they simply find it boring. Children are naturally energetic and curious, with their imaginations hopping from one magical world or subject to another every few moments. When compared to playing with lego or watching cartoons, the bath can seem downright dull by comparison. Just sitting in a pool of water, doing nothing much. If they have an interesting tale to occupy their attention, your child is likely to barely even notice the fact that they’re taking a bath at all. If you make a habit of associating baths with audiobooks, you might even find they begin looking forward to getting in the tub, to see how their latest adventure tale wraps up. Bath paints are one of the most ingenious inventions of the toy industry, because they allow a child to express their artistic side, explore their imagination, and do it all without getting blue handprints on the wallpaper, or spilling hard-to-remove paints on the carpet. Bath paints are specially designed for your child to use on the bathtub’s side, or the tiles of the wall next to it, and then wash away easily at the end of the bath. Look, bubbles are just fun, ok? 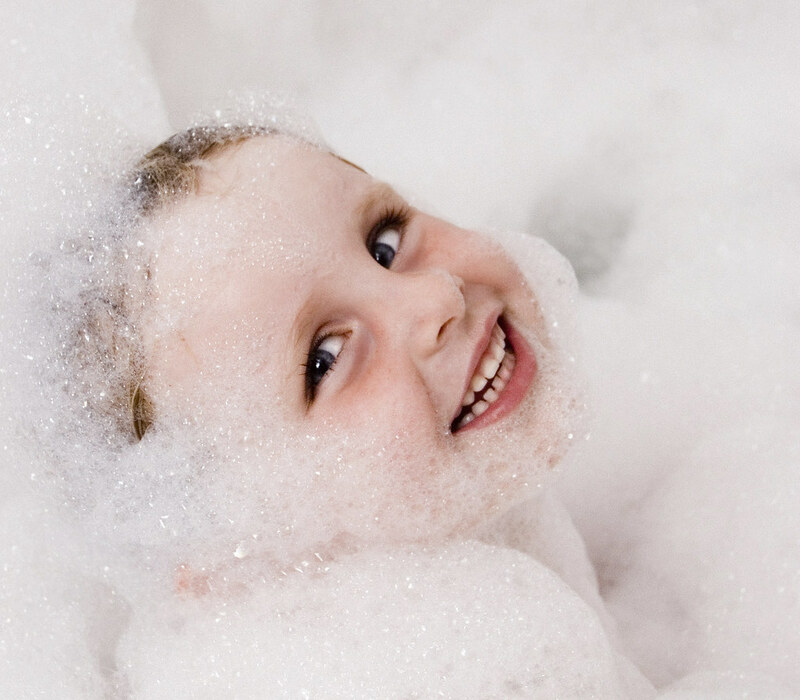 Both adults and children enjoy seeing the bathtub filling up with mountains of foam, and that alone should be enough reason for you invest in some bubble bath for your child. In addition, however, many bubble baths also contain essential oils and pleasant aromas which can have positive health and mood effects on your child, especially as a way of calming them down after a long day if the energetic sort (which, really, all children are). Other relaxing bath products could include epsom salts, which have added benefits including giving your child more essential minerals such as magnesium, relieving muscle cramps and pains, and even combating fungal skin infections.